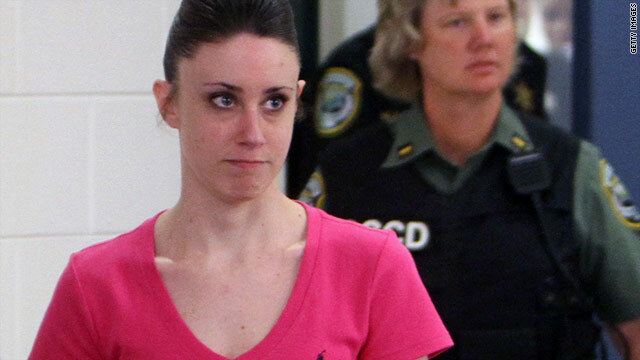 Casey Anthony is free after a jury reached its decision last month following a months-long trial. (CNN) -- Casey Anthony is responsible for the 2008 death of her 2-year-old daughter Caylee, a report released Thursday by Florida's Department of Children and Families concludes. A month after a jury acquitted Anthony on murder and child neglect charges, the state agency found that Anthony "is the caregiver responsible for the verified maltreatments of death, threatened harm and failure to protect" in her daughter's death. Carrie Hoeppner, a spokeswoman for the Department of Children and Families, said the report was issued this week as a "professional courtesy" after the sheriff's office and prosecutors finished their work on the case. She added that the state agency is mandated to conduct reviews when there are allegations that a child dies as a result of abuse, abandonment or neglect. The agency had no contact with the Anthonys prior to the girl's disappearance in the summer of 2008, Hoeppner added. The Orange County Sheriff's Office will not take any further action as a result of the report, Capt. Angelo Nieves said Thursday. "This closes out the DCF case, and it does not create additional follow-up on our part," he said. The report said: "The Department of Children and Families concludes that the actions or the lack of actions by the alleged perpetrator ultimately resulted or contributed in the death of the child." The report was signed by officials in the department Wednesday. Anthony is now free. While she was cleared on murder and aggravated child abuse charges, the 25-year-old Orlando woman was convicted on four counts related to misleading law enforcement authorities. She was sentenced to four years in jail on those convictions, but was given credit for the time she had already served between her arrest and the end of the seven-week trial and was released from jail in mid-July. Prosecutors cannot appeal the acquittals. The report does not address, or substitute for, judgments regarding the guilt or innocence of the caregiver -- in this case, Casey Anthony -- DCF spokeswoman Hoeppner said. The state report found that Anthony's "failure to act" in the 31 days between the time the girl was last seen and when police were alerted about the case "delayed and interfered with a law enforcement investigation and best efforts to safely recover the child." The agency report noted there were "no indicators" that Caylee's death was caused by physical injury, and it was "not substantiated" that she died of asphyxiation -- both points of great contention during the trial. An autopsy performed in December 2008 by the local medical examiner determined "that the exact cause of death cannot be determined with certainty." Prosecutors tried, unsuccessfully, to convince jurors that Anthony used chloroform to render her daughter unconscious and then duct-taped her mouth and nose to suffocate her. In its recommendations section, the report said that "the maternal grandfather" -- in this case, George Anthony -- "should have been interviewed for the missing person report." Casey Anthony's defense lawyer had claimed, in the opening argument of the murder trial, that George Anthony knew Caylee had died accidentally and helped cover up her death. Casey Anthony had been investigated by the agency, when state child welfare investigators determined on September 14, 2008, that there were "verified findings" indicating that Anthony was responsible for "inadequate supervision and threatened harm" of her child, although it found "no indicators of physical injury." Exactly a month later, a grand jury indicted Anthony on murder and other charges, and the case was eventually reopened by the Department of Children and Families. No further detail was immediately offered as to why or exactly when the department chose to review the case, or why it came out this week. The report released Thursday officially closes the department's investigation in the case. In Session's Lena Jakobsson and CNN's Melanie Whitley contributed to this report.